The BRM H16 was not the most successful F1 car ever built - but it was one of the most unusual. And while points are not awarded to the most interesting machines, without them motorsport would be the poorer. For example, one way to produce a 3.0-litre V16 - conforming to the new F1 size limit - might be to link two 1.5-litre V8s? That is precisely what Tony Rudd - BRM's engine designer - chose to do. It was a logical step. BRM - British Racing Motors - already had said V8s at its disposal. All Rudd had to do was shorten them down a tad, place one on top of the other, and hook them up. He was not, however, in a position to sort the engine's inherent excessive weight. That would be a problem! Rudd's inspiration for his V16 was Napier Dagger's H24 aero engine. Rudd reckoned it was good for 600bhp, fully developed. Later, he would say he wished he had gone down the 12-cylinder route instead. But at the time, 16 cylinders seemed like the way to go. Gremlins got in from the get-go. Vibrations would be ironed out in one part of the engine ... only to pop up in another! The H16 did not make it onto the grid until the end of the '66 season. For '67, reliability was improved. Unfortunately, that came at the expense of power! The BRM's P83 chassis did not help. Like the H16 engine, it was heavy. The 115 'lightweight' chassis replaced it - but even that was substantially heavier than its rivals. Jackie Stewart was a BRM driver, at the time. He was not exactly gushing with praise for the H16 car. Its performance limit was too easy to find, he said. That made it hard for a driver to shine - even one of his calibre. The exceptions were tracks like Spa Francorchamps and the Nürburgring - or some equally challenging circuit. For all that, the H16 did win a GP - though it needed Lotus' help to do it. 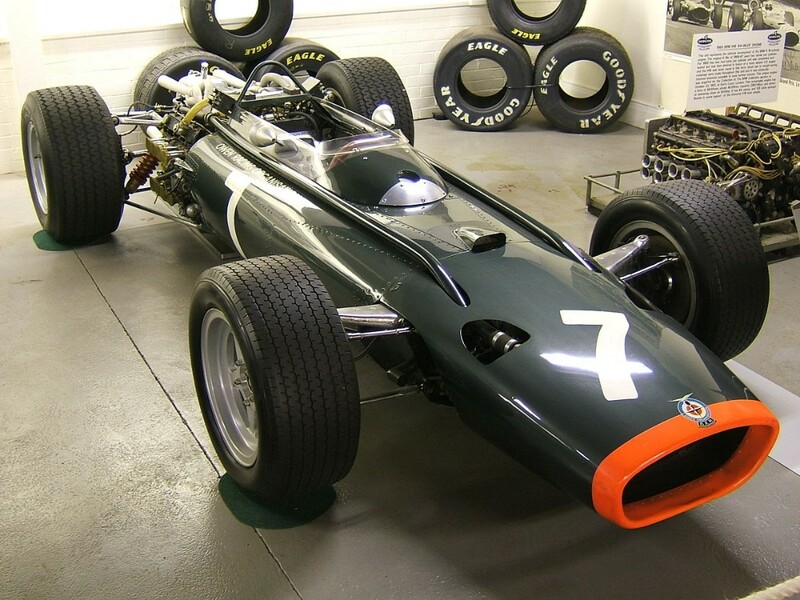 In '66 - while awaiting delivery of the Ford DFV motor - Colin Chapman hired the H16 engine to power the Lotus Type 43. Ironic, really, given Chapman's obsession with weight-saving. Heavy as its H16 motor was, Jim Clark eased the Type 43 to F1 victory - at Watkins Glen, USA. And in '67, for all his dislike of the H16 car, Jackie Stewart placed it second at Spa. That, though, was pretty much it. A real racing oddity, the BRM H16 must have been great fun to watch ... if not quite as much to drive!